You may have learnt from the media that my appeal for quashing the false FIR against me filed by the Pune police was rejected yesterday (January 14) by the Supreme Court. Fortunately, it gave me to four weeks to seek pre-arrest bail from the competent court. Up till now, I felt confident that whatever charges the police levied could be proved as criminal fabrication once they landed before the court and hence I did not feel the need to bother you. But my hopes stand completely shattered and I am left with just seeking bail right from the Pune sessions court, to the Supreme Court. The time has come to build a visible campaign in support of me from various sections of people so as to save me from imminent arrest. Many of us did not know that the arrest under the Unlawful Activities (Preventioon) Act (UAPA) can mean years of incarceration. Even a hardened criminal can get away with his crime with a metered punishment of a year or two but an innocent person merely for the police, invariably acting at the behest of political bosses, claim that they have evidence against him could keep him/her in jail for years. For me, arrest means not simply the hardship of prison life. It will keep me away from my laptop which has been integral with my body, from my library which has been part of my life, half-written manuscripts of books committed to various publishers, my research papers which are in various stages of completion, my students who staked their future on my professional reputation, my institute that invested so many resources in my name and recently appointed me to its board of governors. It will also keep me away from my numerous friends and of course my family: my wife, who, as the granddaughter of Babasaheb Ambedkar, hardly bargained for this fate and daughters who are already disturbed not sure of what has been happening to me since August last year. Coming from the poorest of poor families, I passed through the best institutes in the country with scholastic achievements. As an alumnus of the hallowed IIM Ahmedabad, I could have easily lived a luxurious life if I had chosen to ignore the social oddities around me. However, to contribute to improving the lives of people, I decided to just make enough money to sustain my family at a reasonable standard of living. I decided to devote my time to make intellectual contribution, the only thing possible in my state, towards making the world a little more just. Informed by this instinct, the residue of activism during my school and college days naturally landed me in organisations like Committee for Protection of Democratic Rights (CPDR), of which today I am the general secretary, and the All India Forum for Right to Education (AIFRTE), of which I am a presidium member. There is not an iota of unlawfulness in either my voluminous writings or selfless activism. Rather, my entire academic career and corporate career of nearly four decades has been without a single blemish and is exemplar of integrity of the highest degree. Therefore, even in my worst nightmares I could not imagine that the state apparatus of this country – to which I contributed so much through my professional life – could turn against me with such an abuse as a criminal. It is not that the vindictive state apparatus in India has been criminalising innocent people to protect thieves and looters of this country that made this country the most unequal in the world. It is the manner in which it created the current criminal farce, out of an innocuous event called Elgar Parishad in Pune last year, to incarcerate select human rights defenders, intellectuals and activists in peoples’ movements to curb dissent in the country that is unprecedented in its nakedness and blatant abuse of power. This may be the vilest plot in post-independence India that the state has hatched against its detractors in vengeance, disbanding every democratic decency. Justice P.B. Sawant, a retired judge of the Supreme Court, and justice B.G. Kolse Patil, an ex-judge of the Bombay high court, conceived the idea of using the 200th anniversary of the Last Anglo-Maratha battle that took place at Bhima-Koregaon in 1818 to mobilise people against the communal and casteist policies of the BJP. They invited activists and progressive intellectuals to a planning meeting. I too was initially invited by someone on behalf of Justice Sawant and later by Justice Kolse Patil. I regretted that I could not attend the event due to my academic engagements, but acceded to his request to be the co-convener of the conference along with many others. I did not hear what transpired until I saw a leaflet on WhatsApp regarding the Elgar Parishad. I was supportive of the idea of commemorating the end of the oppressive Peshawadom and also the martyrdom of the Mahar soldiers, whose names are inscribed on the obelisk at Bhima-Koregaon. However, I was uncomfortable with the projection of the Elgar Parishad that the Bhima-Koregaon battle was won by Mahar soldiers to avenge their oppression during the Brahmanic rule of the Peshwas. I thought that such a distorted reading of history may further reinforce identitarian obsession of the Dalits, making it difficult to strike broader unity of people. I wrote an article in The Wire along these lines. It evoked angry responses from Dalits. I rethought the entire matter and stood my stead, in the spirit of a true intellectual. Incidentally, this article, the responses to it, my reconfirmation of my views should dispel the charge that I was working at the behest of someone to instigate the Dalits. But where irrationality reigns supreme, such rationale will not break any ice with the regime or its police! More than 250 organisations had joined the Elgar Parsihad, some of them belonging to the Marathas, who had never aligned politically with the Dalits in the past. Since the BJP-Shiv Sena formed a government in the state under a Brahmin chief minister, the displeasure of the Marathas manifested in various forms. The biggest of course was the Maratha Morchas that erupted using the pretext of an unfortunate incident at Kopardi where a minor Maratha girl was raped and killed by some miscreants, one of whom happened to be a Dalit. The administration had promptly acted and therefore the legitimate demand for justice to the victim was tilted to an unconnected demand for the annulment of the Atrocity Act. The mass mobilisation was used later to demand reservations for Marathas. Marathas began sensing the need to align with the Dalits to defeat the Brahmanic dispensation in the state. It reflected in some of their youth organisations joining the Elgar Parishad and echoed their sentiment in the slogan, “Bury the Peshawai”. It was just symbolic but could be seen as portending a risk to the BJP’s applecart. Both the main organisers of the conference also happened to be Marathas. It scared the power obsessed BJP, which responded with commissioning its agent provocateurs in Milind Ekbote of Samastha Hindutva Aghadi and Sambhaji Bhide of Shiv Chhatrapati Pratishan to create a rift between Dalits and Marathas. A Samadhi of Sambhaji Maharaj, son of Shivaji, situated at Vadu Budruk, just four km from Bhima-Koregaon was used to cook up a controversy. For the last 300 years, the popular history of the Samadhi holds that when Aurangzeb killed and threw away the dismembered body of Sambhaji, one Govind Mahar collected the pieces and gave Sambhaji a respectable funeral. He built a memorial on his field. When he died, his family built his memorial by the side of Sambhaji’s. The conspirator duo fabricated a story that it was not Govind Mahar but a Maratha family ‘Shivale’ who did it and provoked the Marathas against the Dalits. Using this rift at Vadu Badruk, they could incite Marathas against the Dalits congregating at Bhima Koregaon on January 1, 2018. The preparations in surrounding villages were visible to the public but the administration feigned ignorance. On December 29, 2017, the Dalits found the canopy and the information board put up at the Samadhi of Govind Mahar damaged. It created tension between communities as designed, but to the misfortune of the conspirators, the villagers patched it up the next day. On December 31, 2017, the Elgar Parishad took place as planned at Shaniwarwada. At the end of the conference, the people present were administered the oath that they would never vote for the BJP and would try to protect the constitution of India. The entire conference was video-recorded by the police as well as by the organisers. Nothing untoward occurred at the conference and all the delegates dispersed peacefully. As for me, I had come to Pune for the marriage of my closest friend’s son on December 31, 2017, at 10:55 am. We stayed at Shreyas Hotel, attended the marriage the next day and left the hotel at 12.40 pm to travel back Goa. Having come to Pune, my wife wanted to see her nephew (Sujat Ambedkar) and sister-in-law (Anjali Ambedkar) at Shaniwarwada. Hence, we took a detour of 5-10 minutes and left in search of tyre shops to replace one of the tyres of my car that had developed a crack. Fortunately, I have evidence of the exact times enroute to establish that we did not attend the Elgar Parishad. Having arrived in Pune, I could have easily stayed on through the conference. But due to my discomfort with the premise of the conference and the need to return to my work in the institute, I avoided it. 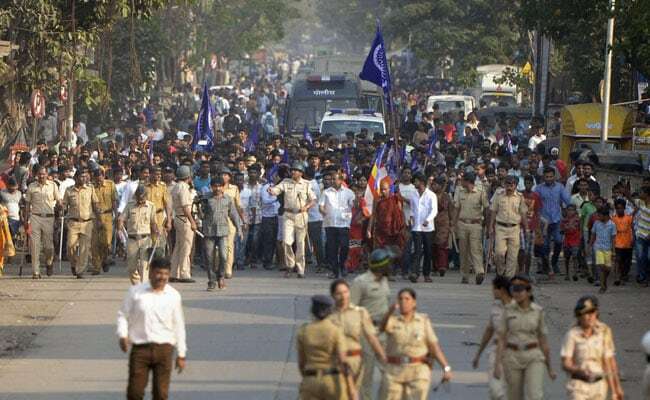 On January 1, 2018, when Dalits congregated at Bhima-Koregaon, the Hindutva goons mounted an attack as planned, pelting stones from the terrace of houses lining the road, beating people and burning the stalls. The police just looked on as they were not in enough number. It clearly established the administration’s complicity in the plan. That some mischief was cooking in the area was known almost to all common people. The December 29, 2017 incident at Sambhaji’s Samadhi had given a clear confirmation for these rumours. But the administration feigned ignorance to let the riots happen. The stray videos that made the rounds through WhatsApp messages clearly show the saffron flag bearers shouting slogans in the name of Ekbote and Bhide chasing and beating the Dalits who were caught unaware. Many Dalits were injured, their vehicles damaged, stalls burnt down and a youth killed. I was completely unaware of what happened during the Elgar Parishad and even about the attack that happened on January 1 until that afternoon. This could clearly be established by the email correspondence between Siddharth Varadrajan, the founding editor of The Wire, and I about the article The Wire carried on January 2, 2018. On January 2, a social worker and member of the Bahujan Republican Socialist Party, Anita Ravindra Salve lodged a complaint with the Shikrapur police station naming Ekbote and Bhide as the culprits for the attack on the Dalits the previous day. No action was taken. On January 3, Prakash Ambedkar called for a Maharashtra Bandh on the next day, which went largely without any untoward incident. However, the police actuated themselves thereafter and started arresting Dalit youths on the pretext of committing violence. On January 8, one Tushar Damgade, an RSS functionary and a follower of Sambhaji Bhide, filed an FIR naming some Kabir Kala Manch activists for organising the Elgar Parishad, claiming that inflammatory speeches were given in the Parishad that caused violence on January 1. It was prima facie a preposterous claim. Next, the provocation in the Elgar Parishad could only be addressed to Dalits. If so, they would not get beaten if they were incited. 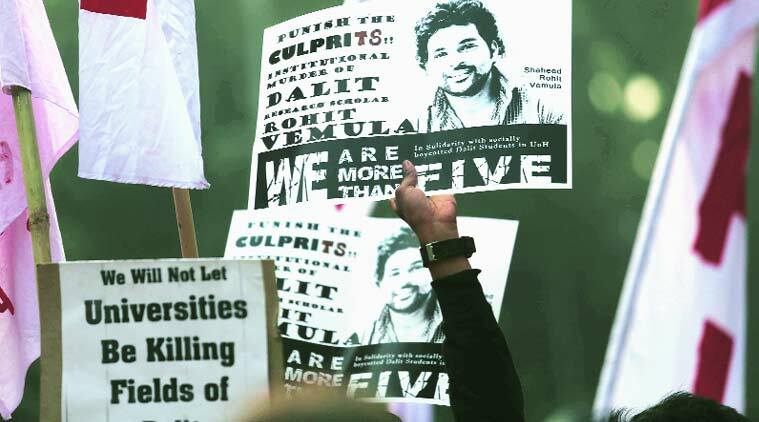 In the melee, a Dalit youth lost his life. Nonetheless, the police picked it up for executing the scripted plan. They raided houses of the named people. As if acting on a clue, they began insinuating that the Elgar Parishad was funded by the Maoists, ignoring the public statements by Justice Kolse-Patil, the chief organiser of the Elgar Parishad along with Justice Sawant that they did not need any money. Till date, having developed this event into a big conspiracy of the Maoists and misleading courts to believe in this lie, the police haven’t enquired with these two justices to verify their premise. In the chargesheet, they have attached a statement attributed to Justice Sawant, which he has publicly denied. Even such a grave crime is ignored by the courts. With the pretext of the Maoist funding theory, the Pune police, in a “joint operation” closely coordinated with the police of Nagpur, Mumbai and Delhi, raided the houses of and arrested five activists on June 6, 2018. They were not connected with the Elgar Parishad. After the arrest, the police weaved stories – from claiming that the five persons were behind the violence that disrupted the annual celebrations at Bhima Koregoan, to saying they were supporting Naxal activities to finally the most recent story that they were plotting a “Rajiv Gandhi style” assassination of Prime Minister Narendra Modi. These stories came handy for the police to apply the dreaded UAPA, which does not leave one with any defence and can incarcerate him/her for years in jails. Basically, these raids were used to get hold of the electronic devices of the victims that can then be used to yield whatever police want to claim. The method of raids was strange. The raiding police would carry two witnesses from Pune to distant places like Delhi, Nagpur and Mumbai, making a mockery of laid down procedure. They would confine the residents to a room and carry the confiscated materials to another room for sealing. Susan Abraham who is herself a lawyer and witnessed this process when her house was raided for her husband Vernon Gonsalves, said the police had brought their own computers and other devices with them. The police claim their process of confiscation is foolproof and the judges faithfully accept it, as they videoed the complete process. The judges would not care to understand that electronic devices could be tampered even remotely and any number of files could be transmitted within a matter of seconds. Video cannot be a method of establishing the integrity of electronic devices. As an expert in information technology, I can prove this as fraudulent. The integrity of the computer devices could only be guaranteed by a hash value generated by a specific algorithm and unless (both) are acknowledged by the victim, it can never be relied upon. The courts would take a blind view saying that it is a matter of trial, knowing fully well that it could take several years and until then an innocent person and his family could be completely ruined. Police began claiming that they recovered letters (not mails—because mails are non-repudiable) from the computer of one of the arrested persons purportedly written by the Maoists. The letters produced by the police were bizarre, speaking of real names of people providing their real phone numbers, etc. That these letters were pure fabrication by the police can be seen from the manner they are worded. As though the Maoists are running a government organisation that elaborately communicates their plans and expects their recipients to preserve records for audit. They are known for their secrecy, using networks of human couriers and insisting upon destruction of messages after they were read. Such an organisation could not be communicating with its functionaries through essay like letters. Many people analysed these letters and called them a fabrication. Experts such as Ajay Sahany, executive director of the Institute of Conflict Management, which deals with the studies of such organisations trashed them as fake. Even Justice Chandrachud of the Supreme Court, the only judge who has gone into the merit of the police case, in his minority judgment faulted these letters and recommended the entire case be investigated by the SIT as prayed for by Romila Thapar and other public intellectuals. But the strange process of law would not budge by these contra evidence and would be ready to sacrifice the lives of innocent people at the altar of the so called process of law, which itself in reality is worse than punishment. Along with six other activists, four of whom were arrested on August 28, 2018, the Pune police raided my house. They took a duplicate key from the security person and opened the house in our absence without any warrant. As written in the panchnama, they videographed the interiors and locked the house. We were in Mumbai. As TV channels flashed the news of our house being opened and searched, my wife rushed back on the next flight and lodged a complaint with the Bicholim police station, providing our telephone numbers if the police wanted to ask us anything. On August 31, the additional director general of police Parminder Singh addressed a press conference in Pune and among others, flashed one letter in support of my involvement. The letter was written by someone supposed to be a Maoist to some Com Anand referring to a Paris Conference in April 2018, which appeared to be true. I did attend an academic conference along with many scholars from all over the world, which was organised by the American University of Paris. It was hilarious in its narrative, indicating that the Maoists gave money to this university and asked them to invite me for it. It also suggested that they arranged with “Com. Étienne Balibar” (a highly respected French Marxist scholar) that he would interview me (sic) and “Com. Anupama Rao and Shailaja Paik” (professors teaching in Bernard College and Cincinnati University, respectively) that they would invite me to their universities as guest lectures. I obtained the letter from NDTV and mailed it to Balibar and the organiser of the conference, Lissa Lincoln. They were stunned by this canard and wrote back to me. Balibar angrily sent a letter of protest and even wrote to the French Embassy. Lincoln explained how the university invited me and bore the entire expense for my attendance. On the basis of solid evidence, I decided to prosecute Paramjit Singh for defamation and wrote a letter to the Maharashtra government on September 5, 2018, seeking its permission as per the procedure. There has been no response until today. Meanwhile, since there was apparently no case against me and thinking that my letter to the government might have brought them a sense of guilt, I decided to file a petition for quashing the FIR against me to the high court. The bench rightly asked the police to submit an affidavit listing all the things that they had against me. The police submitted the affidavit listing five charges vide five letters, including the one discussed above. In my reply, I refuted all their contentions and proved that even if the letters were held as genuine, they do not make any triable case. Thee first letter written by someone to someone saying that some Anand has taken responsibility of organising Ambedkar Periyar Study Circle (APSC), which came to limelight in 2015 when the IIT Madras administration derecognised them. I was then professor in the business school of IIT Kharagpur, more than 2,000 km away from Madras. If I had an inkling of organising students, I could do it in my own IIT; not the most distant IIT. In any case, when the APSC learnt about it in the newspapers, a founding member sent me a letter saying that I did not have any role in their formation or activities. The second letter, again written by someone to someone referred to some Anand making a “good suggestion” in the meeting of Anuradha Ghandy Memorial Committee (AGMC). Well, if that Anand also is identified as me, I am a member of the trust along with many other respectable members. It is a decade-old registered body with its PAN, bank account and respectable people as its members. 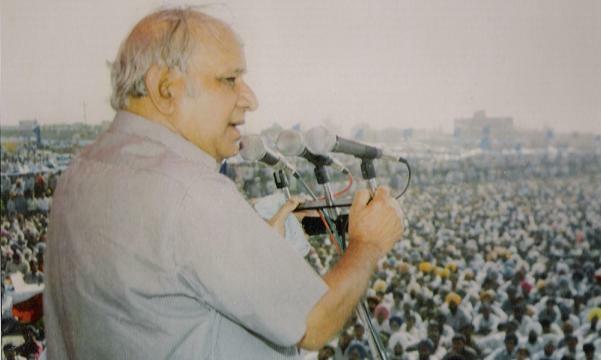 It held public lectures by eminent scholars like Samir Amin and Angela Davis which were widely covered by the press. As for my role in the trust or committee, I could not even attend their meetings and lectures barring a couple of them over the last ten years because I was physically away (at IIT Kharagpur from 2010 to 2016 and thereafter at Goa). The third letter again written by someone in which there is a reference to some Anand taking responsibility of organising a fact-finding into the Gadchiroli encounter. Presuming the Anand in the letter is me, I am a general secretary of Committee for Protection of Democratic Rights (CPDR), whose raison d’etre is to find the facts in cases of suspected human rights violations. However, the fact remains that neither I organised this committee nor participated in it. As a matter of fact, I have been a general secretary initially in deference to the wishes of the previous general secretary, P.A. Sebastian and thereafter, at the insistence of its members although I was away from Maharashtra all this while. The fourth one was a note allegedly recovered from someone’s computer that had a scribble: “Anand T .. 90T Surendra (through Milind)“. It is interpreted as I was paid Rs 90,000 by Surendra through Milind (sic). It was ridiculous and product of poor imagination to imagine that I would take money as I have been paying that kind of money every month in income tax for years. In any case, such scribbling is said to be no evidence in law. My rejoinder to the police affidavit thus refuted all these charges. But at the end, the police gave some ‘sealed’ envelop to the judges and the court rejected my petition, without referring to any of my above refutations or my personal credentials whether the police claims could be plausibly connected with my profile. Thinking that I had a strong case, I approached the Supreme Court, but the court took a view that they would not interfere with the police investigation at this stage and asked me to seek a pre-arrest bail from the competent court. The case has reached a crucial point where all my beliefs stand shattered and I am devastated by the prospect of imminent arrest. Nine of my co-accused are already in jail facing harassment of the legal process. Unlike me, they did not have an opportunity to seek your help. Your standing in solidarity with me will not only lend me and my family strength to endure this torture but also may give a message to the fascist rulers that there are people in India who say ‘NO’ to them. 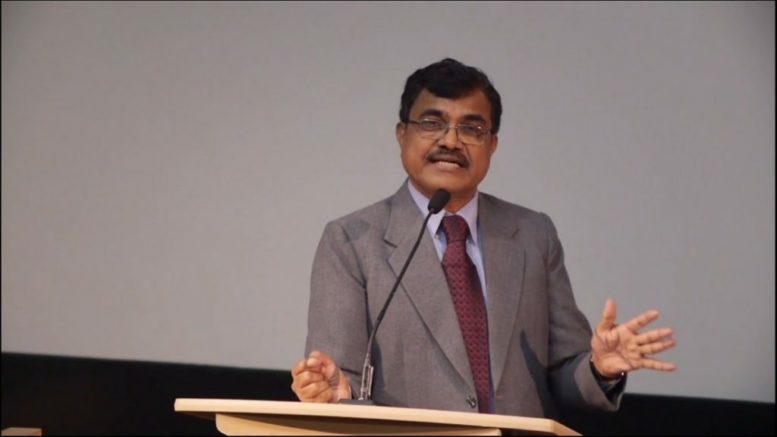 Be the first to comment on "‘I need your support’, Writes Anand Teltumbde"